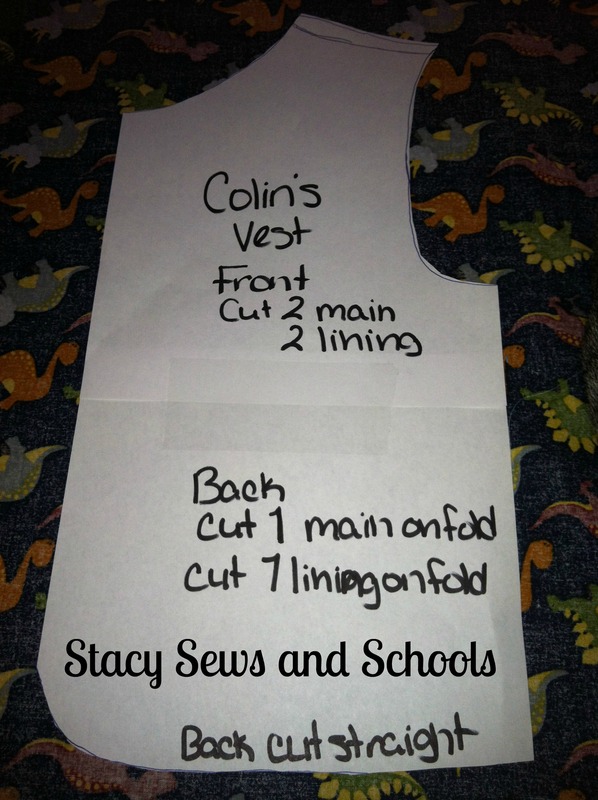 I took one of Colin’s shirts and folded the sleeves back to give me the wider angle of a raglan sleeve. Then I cut the neck. Both the back and the front of the shirt are exactly the same. It looks like I forgot to take a picture of how to cut the sleeves. I am SOOO sorry!! Fibro fog strikes again!! It’s really easy to do. 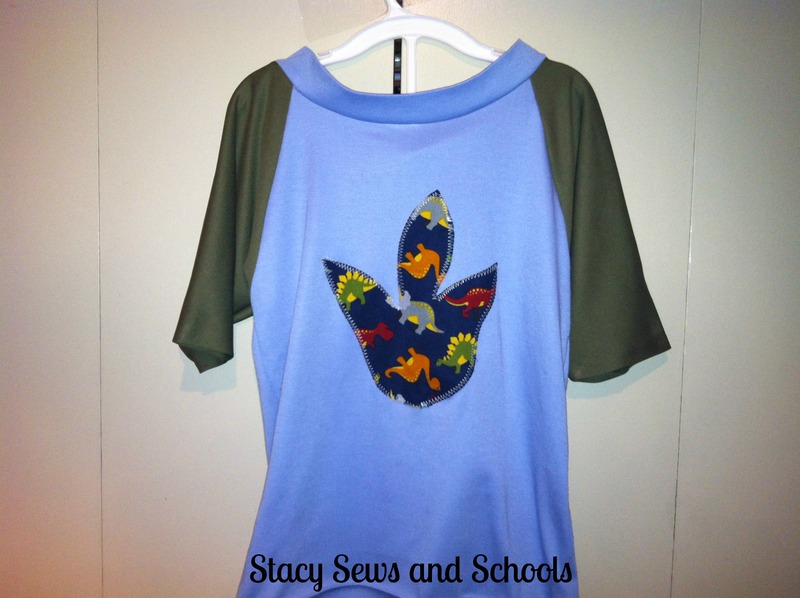 Just fold over your fabric for the sleeves and place the shirt part over it. 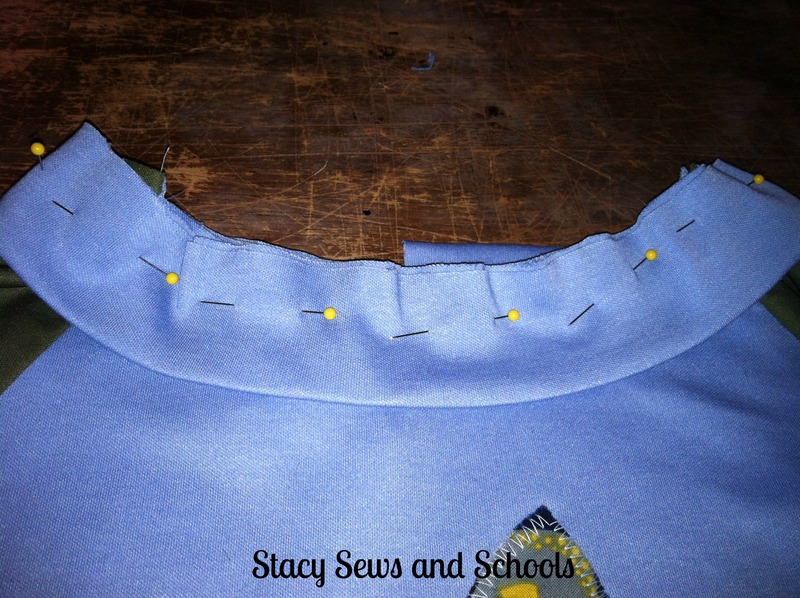 Be sure to cut the angle of the sleeve in and a curve around the top part for the neck. 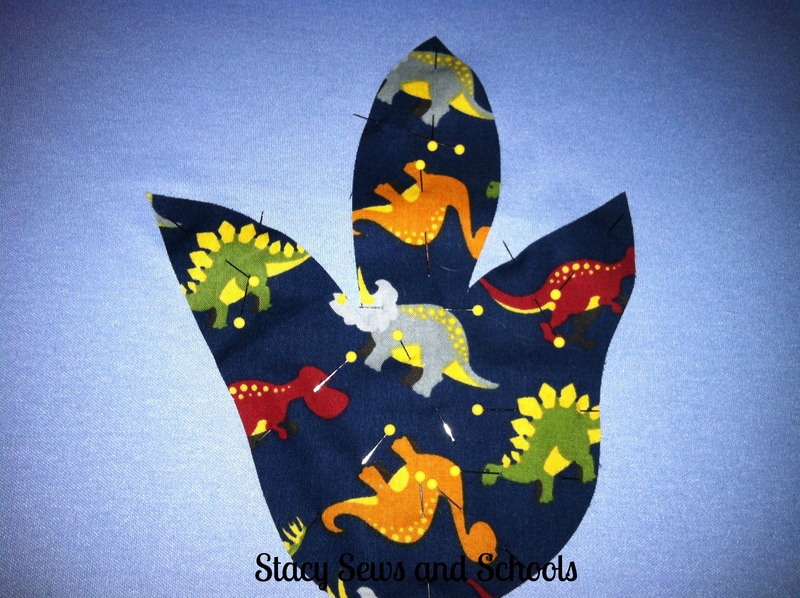 I found a picture of a dinosaur claw and printed it out to use as sort of a template for the applique. Then I pinned the heck out of it! LOL Next, just zigzag all around the edges. Weird… the olive green looks brown… EWWW!!! 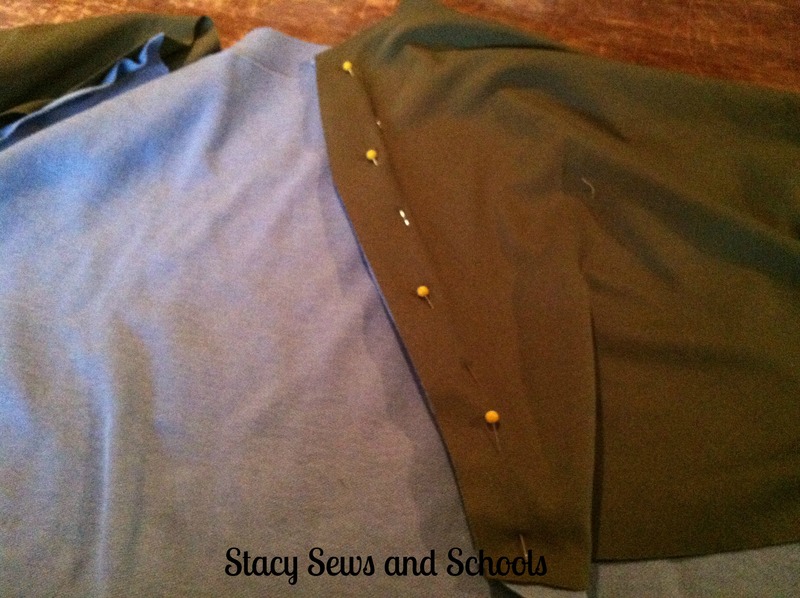 Anyway, pin the sleeve to the shirt, right sides together and sew the one side. 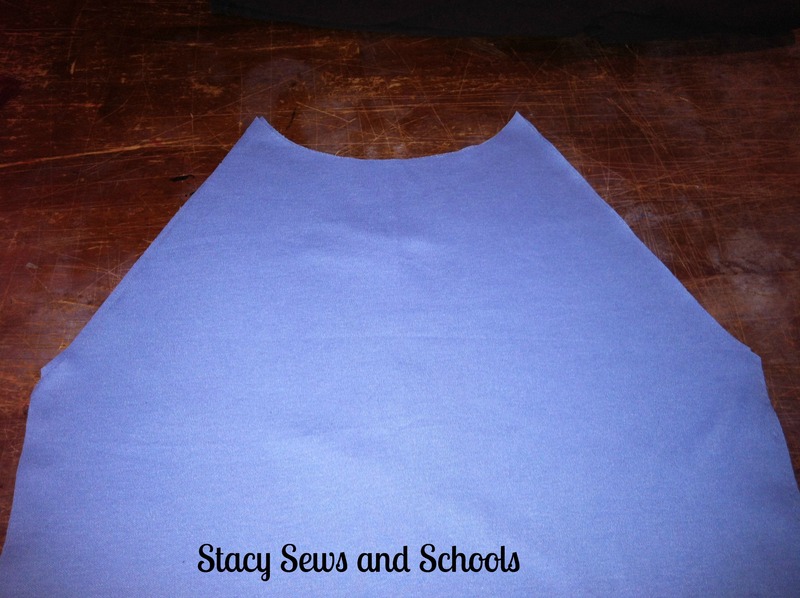 Now attach the sleeves to the back of the shirt in the same way, right sides together. 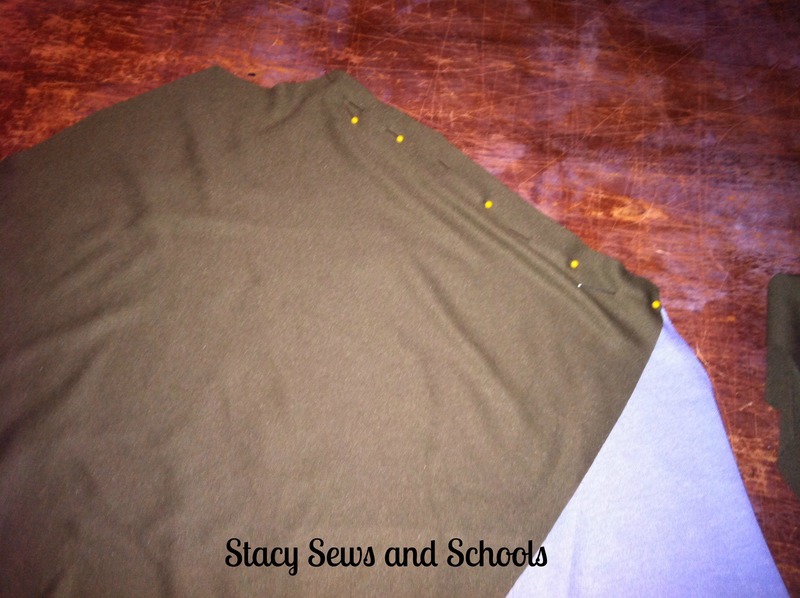 Pin up the sides of the shirt all the way from the bottom to the end of the sleeve and sew it all up. Now cut the neck! I cut the piece 5 ” wide and long enough to go around the neck with a little left over. Fold the piece in half and press. Pin the neck to the… ummm.. neck…. 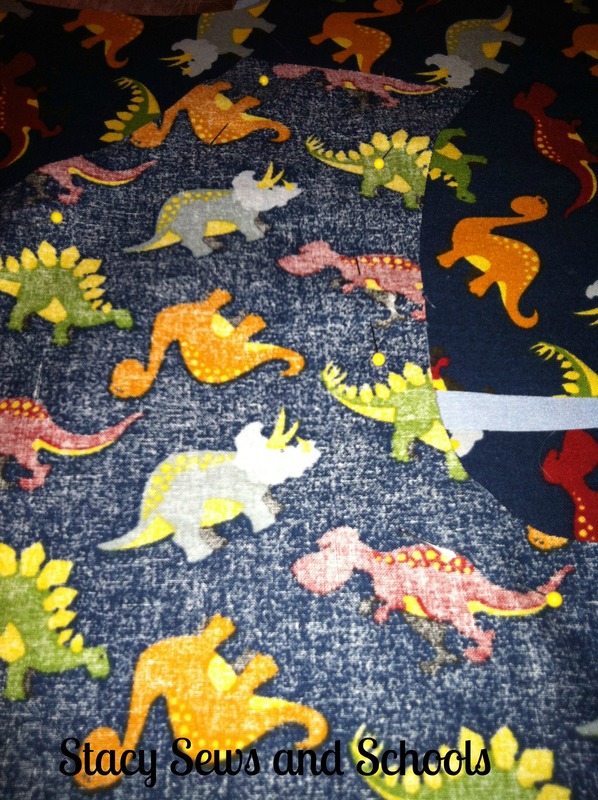 right sides together, and sew! When you get the back, just pinch the ends and sew them together. 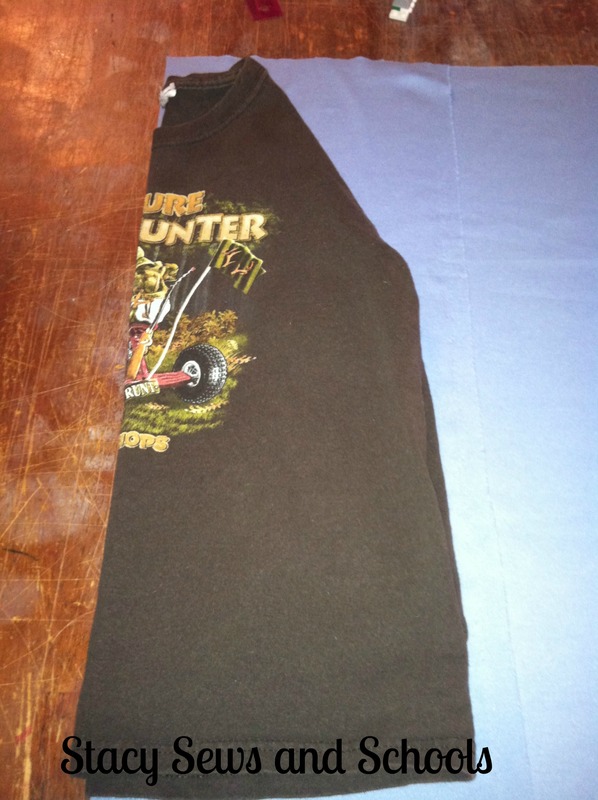 I also hemmed the bottom of the shirt but no pics…. 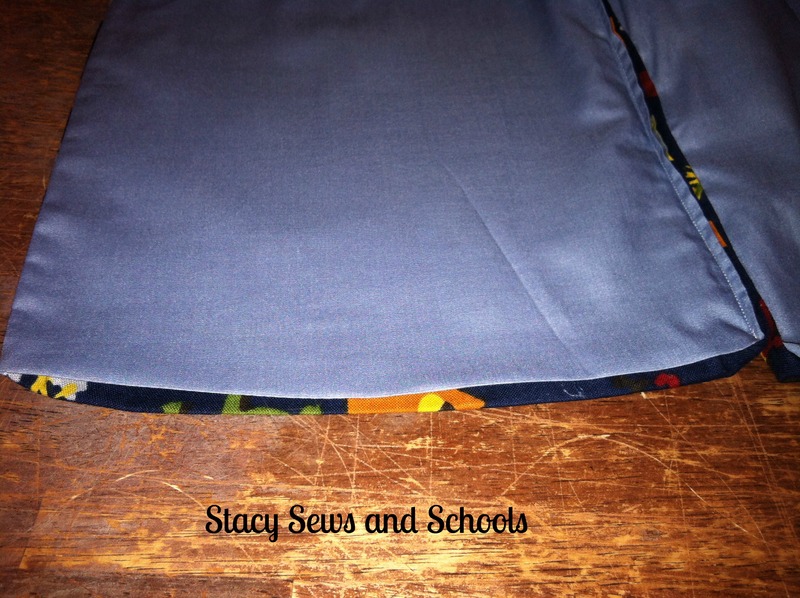 Just fold over by 1″ and sew! 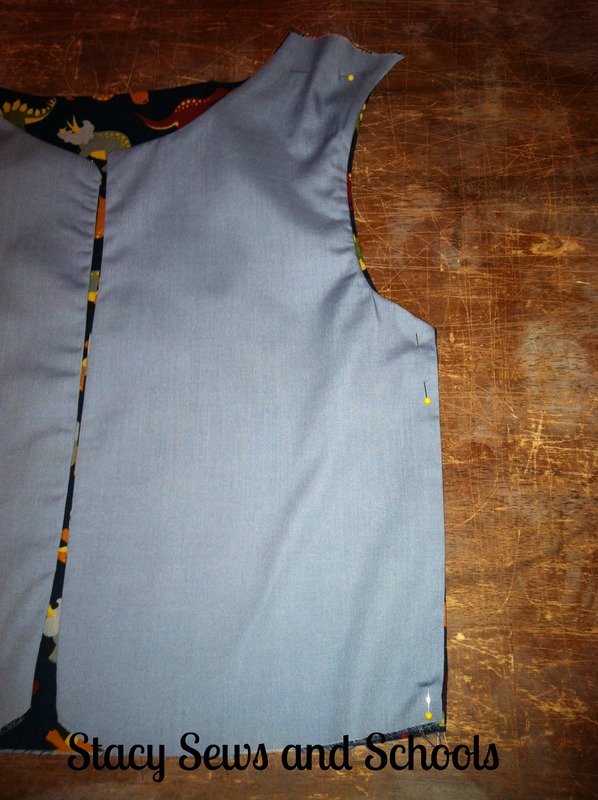 I decided to make a pattern piece for the vest so that all the pieces would be exactly the same. 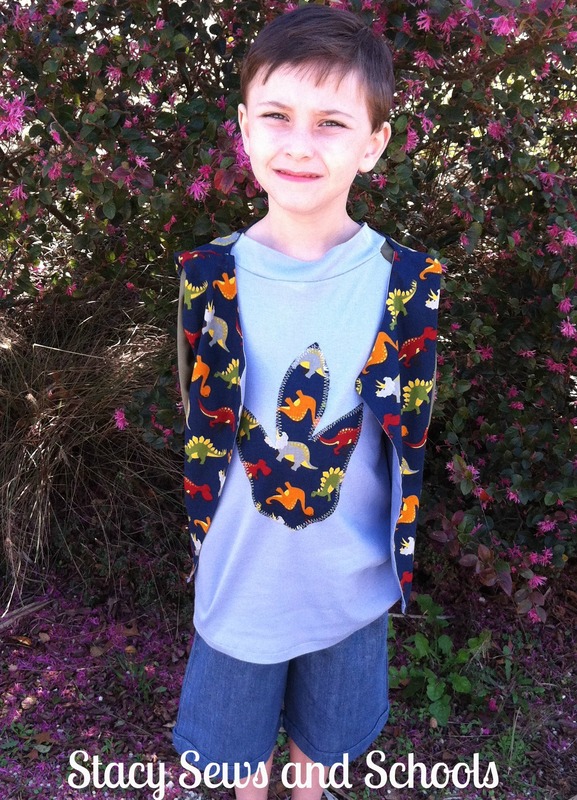 All I did was trace a shirt that was folded in half and then added in the curve at the bottom and deepened the neck. You are going to have 6 pieces. 2 left sides, 1 main and 1 lining. 2 right sides, 1 main and 1 lining. 2 back pieces, 1 main and 1 lining. 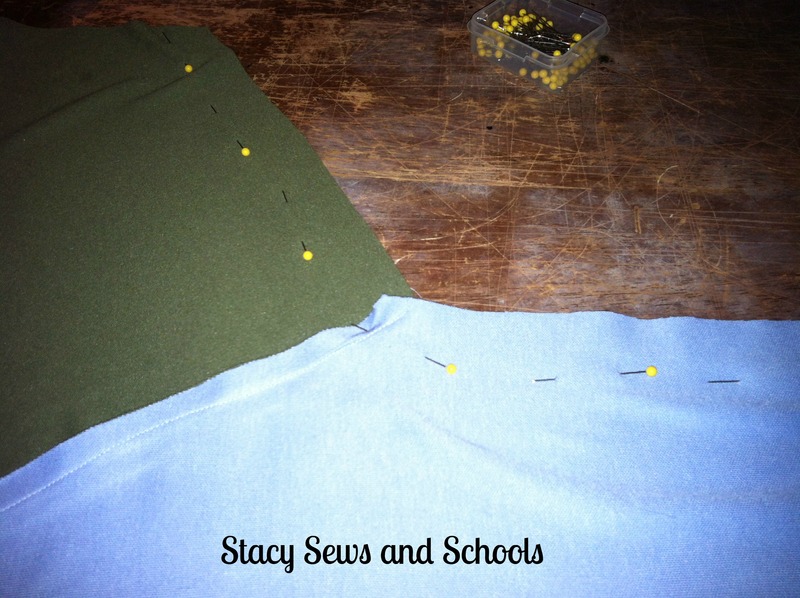 Pin the lining pieces to the main pieces, right sides together and sew them up, leaving the bottoms and the shoulders open. Turn the pieces right side out and press. 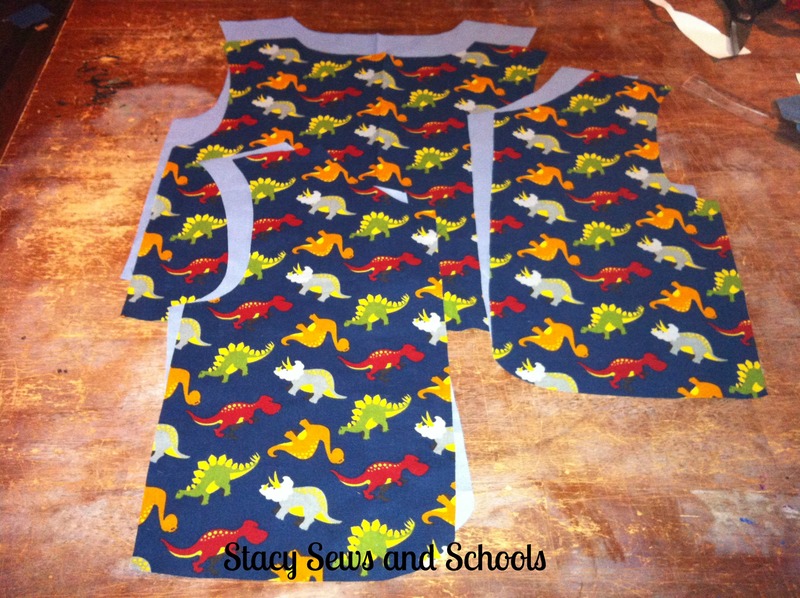 Then pin the front pieces to the back, right sides together and sew up the sides and the shoulders. 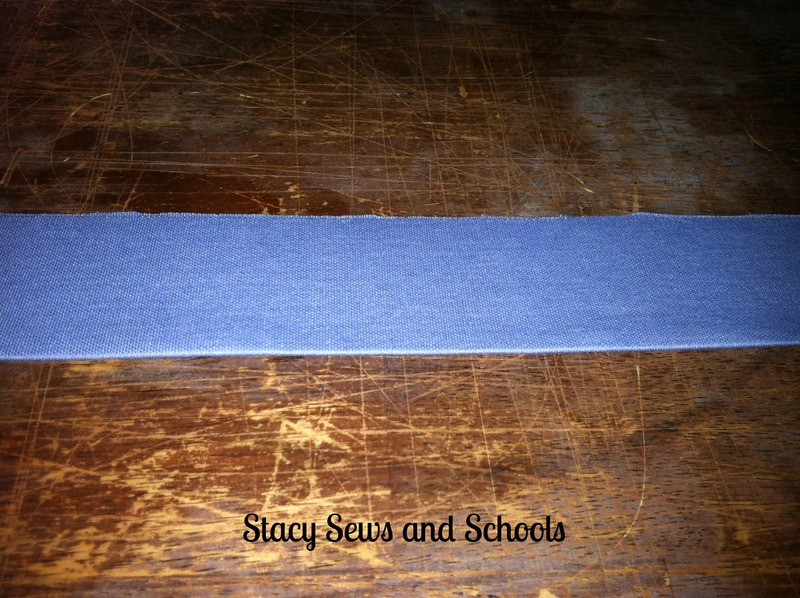 Fold the bottom lining and bottom main in by about 1/2″ and press. Top stitch closed. 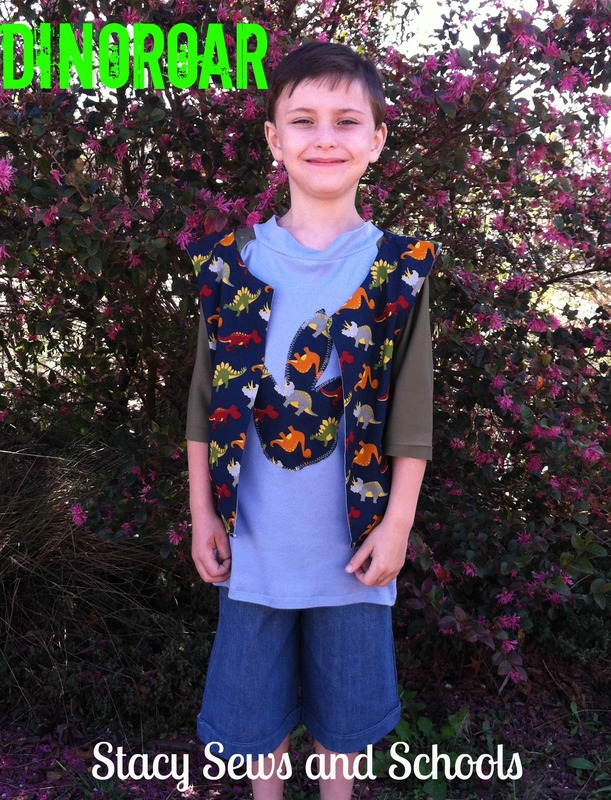 So cute… Both outfit and little boy. Happy seiwng. Cute idea – and cute little guy! Thanks for sharing – have a blessed week! 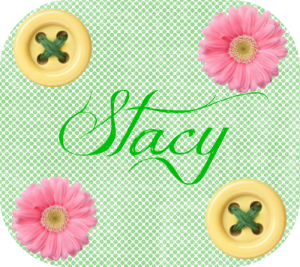 Thank you very much, Stacey! Love the idea. I’m going to do it in a truck theme for my grandson.